The beds are made! And whatever we make, we’ll make it perfect. Centa-Star offers sleep comfort for every sleep style with many innovations. 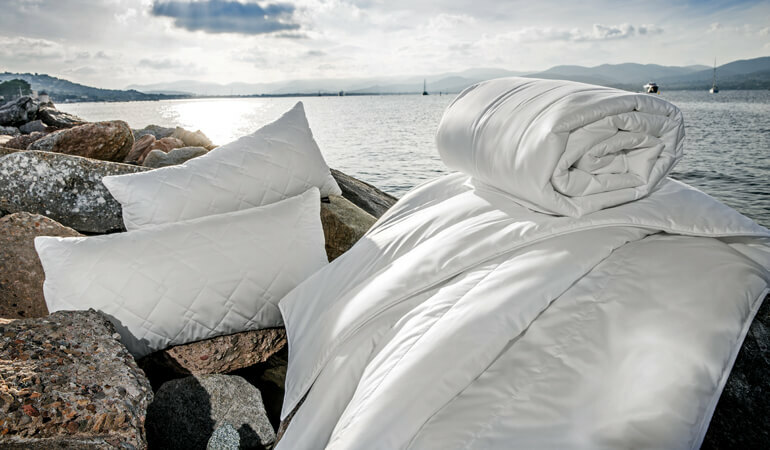 Nature meets high-tech: duvets made from functional cotton covers filled with innovative fibre materials. The result is unique airiness, unique warmth, unique sleep experience. Discover our product range of fibre duvets which leave nothing to be desired. 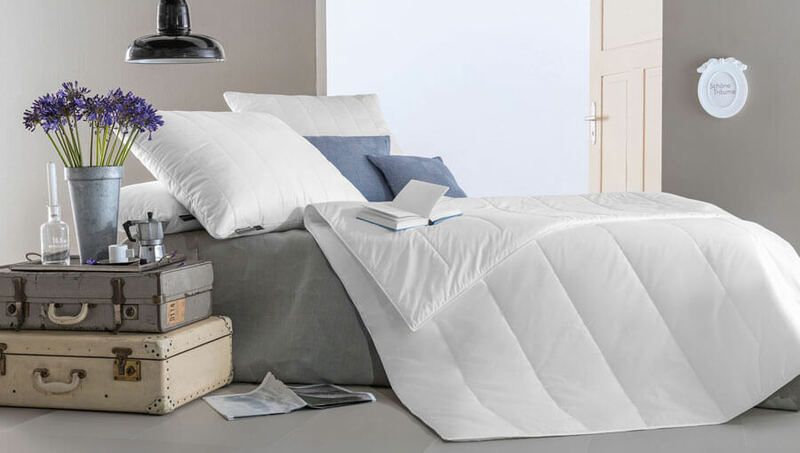 The Moments, Harmony, Glamour, Emotion Junior, Sensation and Luxury collections offer you a large choice of feather/down duvets from an attractive price-performance ratio to premium luxury duvets filled with Icelandic eider duck fluff, the most precious down in the world. In our specialty hair fibre collections, we have created innovative synergy from nature and high-tech. Discover Sensual and Cashmere, the first camel hair and cashmere duvets that can not only be washed in a domestic washing machine, but are also tumble dryer safe. Bring on the new day! You will wake up well-rested, refreshed and full of energy thanks to Vital Plus, the cosy and soft duvet to get your busy day off to a great start. TREVIRA Superloft Plus is the name of the high-tech fibre developed exclusively for Centa-Star by fibre specialist Trevira in collaboration with the Hohenstein Research Institute. The duvets of the Royal collection are absolute lightweights. 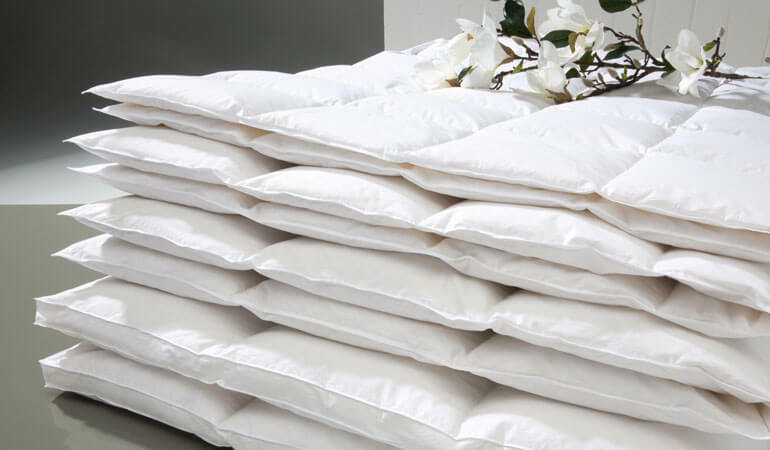 The filling of the Ultralight duvet weighs a mere 160 g, while that of the Light duvet weighs only just under 110 g more. 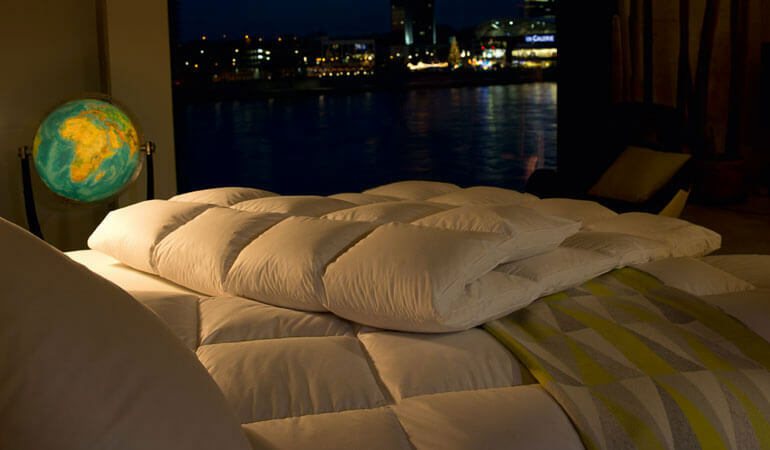 The filling weight of the Duo-Light version is 480 g and that of the Duo duvet only 640 g.
The filling consists of the high-tech PrimaLoft® Gold Insulation fibre. 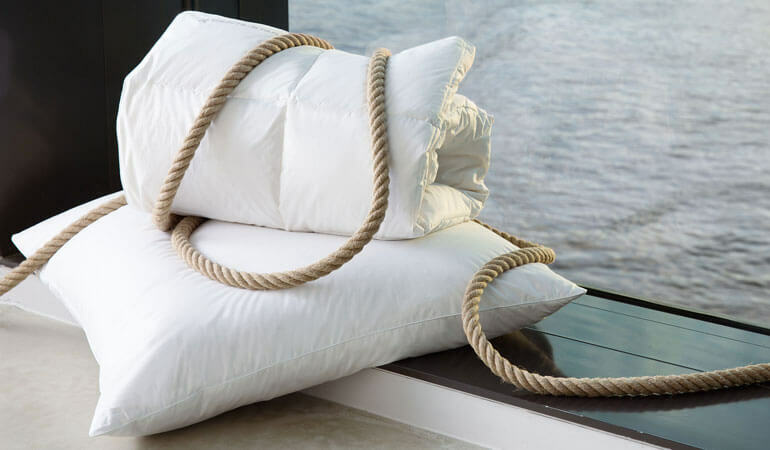 The duvet with revolutionary properties. Extremely moulding to the body, temperature balancing and wonderfully warm. The Hohenstein Institute awarded Famous the highest ever measured comfort mark of 1.0 – both in the warm and in the cold zone. With this unrivalled mark, Famous is considered the best duvet in the world. Dynamic, that’s the innovative and exclusive fibre bedding by Centa-Star. Never too hot, never too cold. It’s always the right choice for active sleepers. 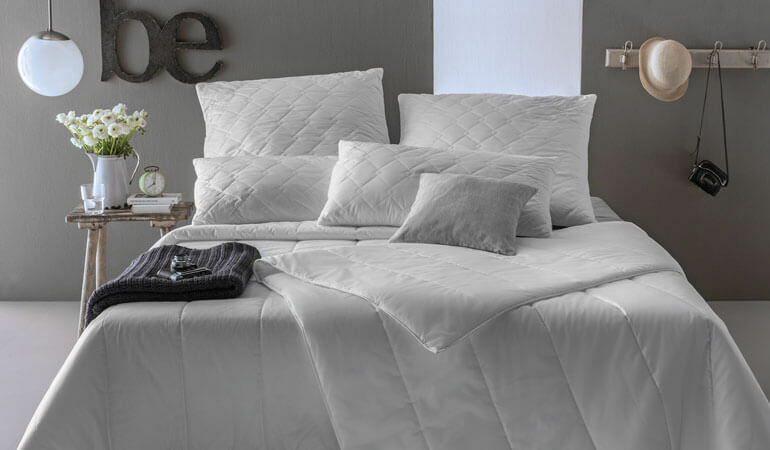 The Dynamic duvet offers an innovative heat and moisture management which is unprecedented in this form. For the first time ever, Centa-Star has integrated Outlast® permanently into the filling fibre, opening up entirely new perspectives for people who love refined sleep comfort. AllergoProtect, the duvet for people with allergies that binds allergens like a magnet, is the first duvet of its type in the bedding market. Previously, people with allergies had to choose between duvets and pillows with rustling, non-breathable encasings or a biocide finishing. 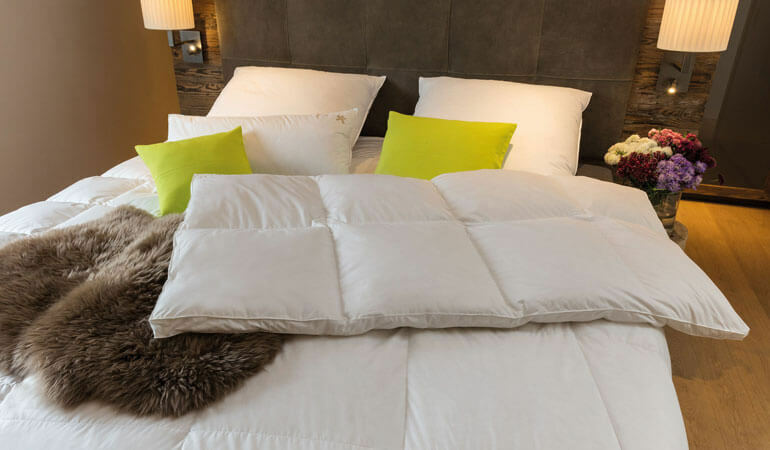 With the purely physical principle of AllergoProtect, people with allergies can now also enjoy all the advantages of a lightweight, soft and breathable duvet without restrictions. So simple and so compelling! 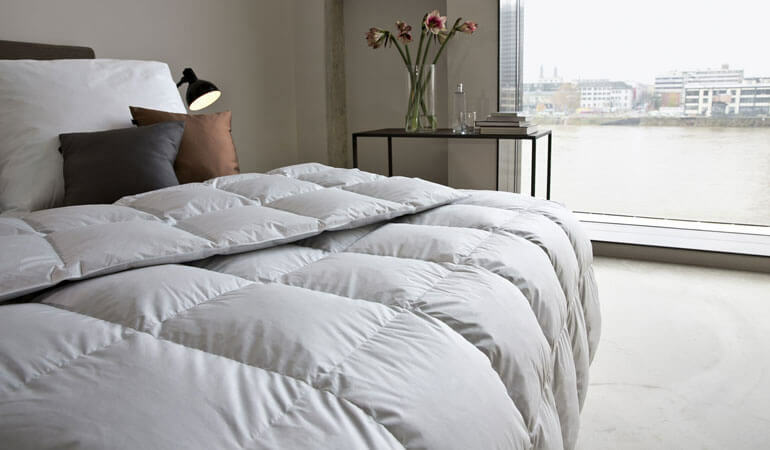 Let the Moments duvet enchant you from top to toe with its delightfully soft 90 % goose down and 10 % goose feather filling, plus its fine, downproof 100 thread count CottonTEX maco percale. This is where luxury and attractive prices snuggle down together and say good night to each other. With our Harmony collection, super fine CottonTEX maco down batiste meets a high-quality down filling to melt into a lightweight duvet with a beautiful drape. Glamour offers the utmost quality, which you can feel even through your bed linen, making it the first choice for connoisseurs of good sleep. 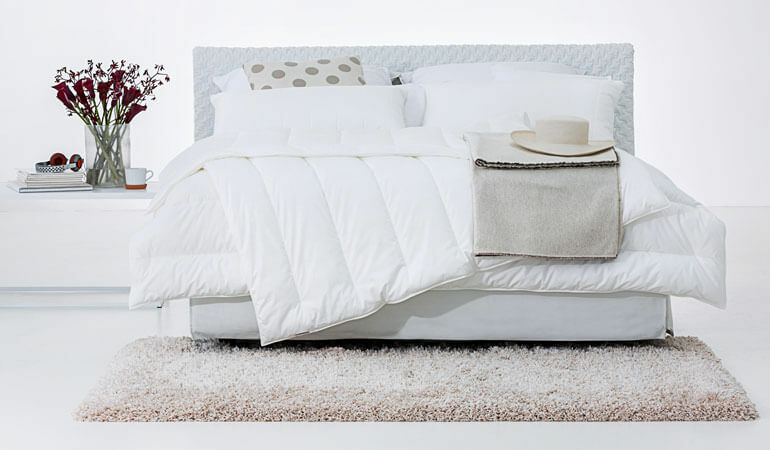 Our best goose down, covered in luxurious 200 thread count CottonTEX silk sateen, makes Glamour a gem in any bedroom. 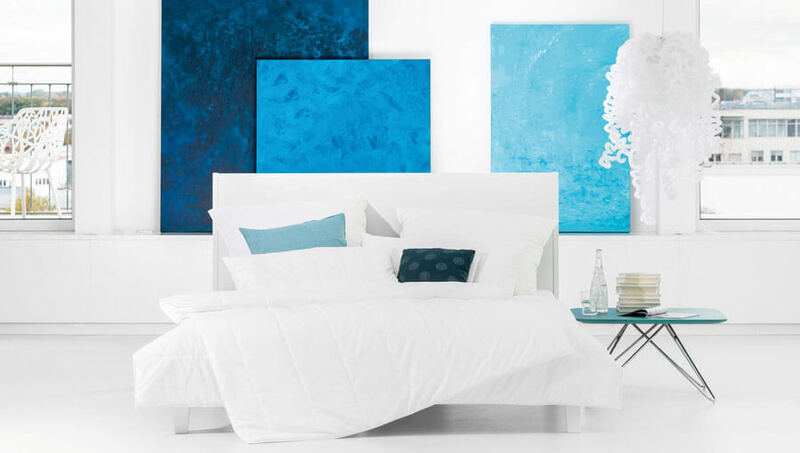 Sensation – a duvet that proves absolutely equal to its name. 100 % large-fluff white goose down filling are filled into a casing of 270 thread count maco down batiste in a particularly fine weave. The casing is finished with a flat fell seam, making our Sensation presumably the best duvet currently available in the market. Eider down excels with unique beauty and fineness. 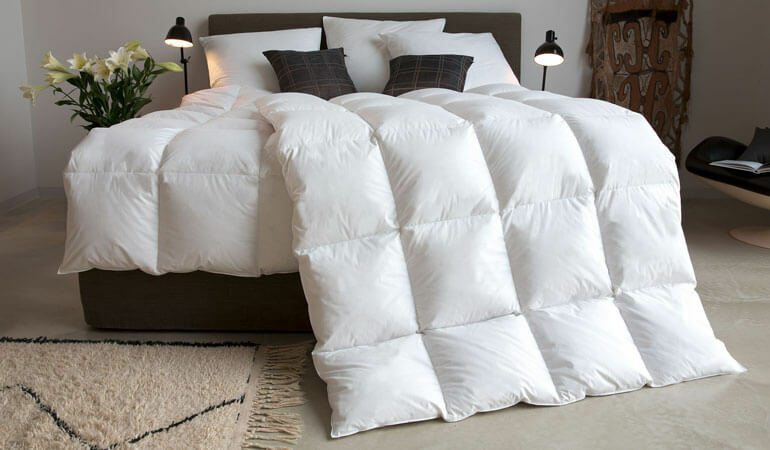 The exquisite Luxury eider down duvet has a particularly high-grade filling of new hand-picked Icelandic eider down. This precious filling is protected by a cover fabric made from finest maco down batiste. Camel hair boasts fascinating temperature balancing qualities. As the animals live in regions with extreme fluctuations in climate of up to 70 degrees in a day, their hair is a true miracle of nature. 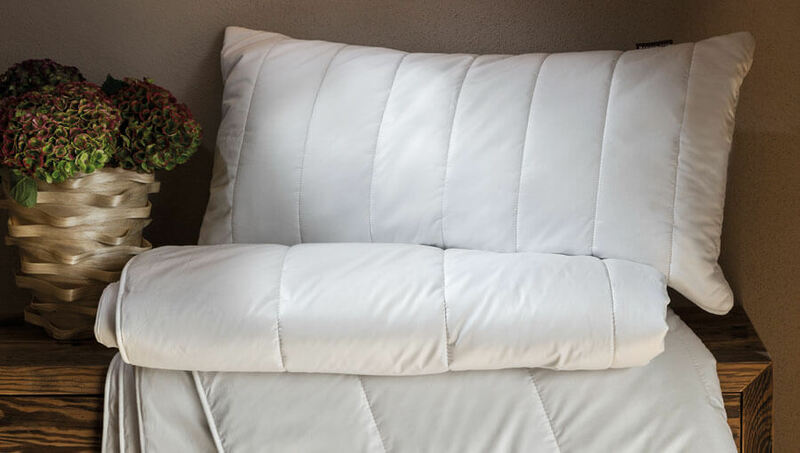 With that in mind, our camel hair duvet is also a small miracle of temperature balancing. 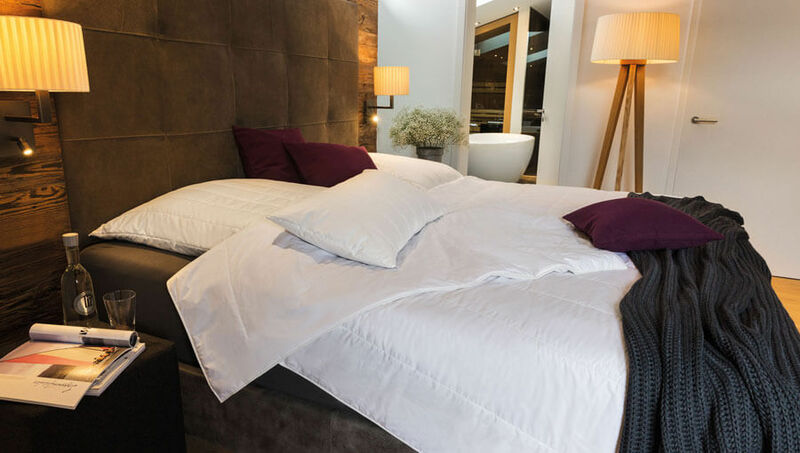 The Sensual duvets are air permeable, which offers dry sleep comfort thanks to great moisture wicking properties and results in ideal sleep temperature regulation. With its self cleaning and odour neutralising effect, Sensual is not only, but especially, well suited for people suffering from rheumatism and remains so after dozens of washes. Elegant and so incredibly soft: Cashmere is a silky dream – and so easy to maintain. Cashmere cannot only be washed at up to 60 °C, it is now also tumble dryer safe. This duvet blends two worlds: natural specialty hair fibres and state-of-the-art high-tech fibres. The big surprise here is the natural fibre Ingeo, a natural polyester called PLA, produced from corn grains through fermentation and polymerisation. Once it is interwoven with the fine hair of the Kashmir goat, PLA adds even more advantages to the elegant cashmere fibres. It is also hygienic and augments the self-cleaning qualities of cashmere fibres. The fibre keeps the duvet in shape through every wash and prevents matting even after dozens of washes or shrinking in the tumble dryer. Datenschutz Yes, I have read the Data Protection Declaration and consent to the electronic collection and storage of the data I have entered. My data will only be used for the stringent purpose of processing and answering my inquiry.